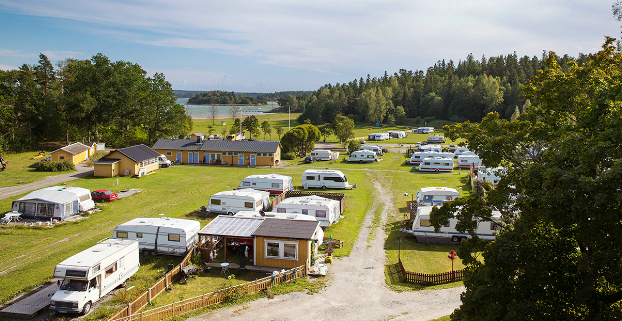 You will find Östnora Camping in a site of incredible natural beauty with large grassy areas. Here you can bathe in the Horsfjärden (bay) or take walks in the forest to pick mushrooms and berries. Spend your holiday at our cosy family camping site! Besides our camping facilities, we offer cottage rentals and a summer kiosk. We also hire small boats and have mini golf and a boules pitch. Östnora Camping is a camping site with possibilities! Its proximity to Stockholm, golf courses and opportunities for excursions in the Stockholm archipelago are but a few examples. We are located in Östnora, 10 km south of Västerhaninge, after main road 73 between Stockholm and Nynäshamn. From Stockholm, take road 73, 10 km after Västerhaninge. From Nynäshamn, take road 73 towards Stockholm for 20 km.